First posted 30 December 2010; updated subsequently with latest analysis and sources. What seemed increasingly likely in recent months has now been confirmed. Top U.S. Navy officials state that China’s anti-ship ballistic missile (ASBM) has reached the equivalent of Initial Operational Capability (IOC). While the exact details remain uncertain, both U.S. officials and the director-general of Taiwan’s National Security Bureau state that China has already begun to deploy the DF-21D. A Taiwan defense source says that up to 12 DF-21D ASBMs have been deployed in southern China. And one Chinese source likewise claims that the missile has already been deployed. Click here for a link to Director-General Tsai’s exchange with Taiwan media regarding the DF-21D ASBM’s deployment. The relevant portion is from minutes 1:31 to 4:48. Global Times (环球时报, Huanqiu Shibao) is not an official newspaper. Published on weekdays, it focuses on international issues and foreign reaction to developments in China. But it is sponsored by and produced under the auspices of People’s Daily (人民日报, Renmin Ribao), the official daily newspaper of the Communist Party of China (CPC) Central Committee. Stokes deserves great credit for addressing these complex organizational issues in a manner that is unmatched in open source analysis of Chinese ASBM development. In fact, it was he and his colleague Tiffany Ma who uncovered the possibility of a Guangdong connection in the first place in August 2010. In December 2010, Admiral Willard, Commander, U.S. Pacific Command, stated that China’s anti-ship ballistic missile (ASBM) has reached the equivalent of “Initial Operational Capability” (IOC). China must have conducted a rigorous program of tests, most likely including flight tests, to demonstrate that the DF-21D ASBM is mature enough for initial production, deployment, and employment. Chinese unit(s) must have already received the DF-21D. While doubtless an area of continuous challenge and improvement, the DF-21D’s C4ISR (command, control, communications, computers, information, surveillance, and reconnaissance) infrastructure must be sufficient to support basic carrier strike group (CSG)-targeting capabilities. Based on previous Second Artillery deployment patterns, ever-better-performing and -C4ISR-linked versions of the DF-21D will likely be deployed in “waves” to different units until the majority of ASBMs reach a level of capability the PLA deems sufficient to meet its present deterrence objectives. On the basis of present capabilities, China likely already expects to achieve some level of (growing) deterrence benefits from its DF-21D ASBM. …But an IOC status for China’s ASBM says nothing about the countermeasures that U.S. and allied forces may be able to use to negate its capabilities. None of this should surprise anyone. Numerous ASBM data point “dots” have been emerging from Chinese sources and U.S. official statements and reports for years now, available to anyone willing to connect them. The real surprise is how much “ASBM denial” there has been outside active governmental circles. Some individuals, including a few respected professionals with the highest levels of Cold War experience, assumed that any Chinese ASBM would have many of the shortcomings of failed Soviet industrial-age design but would nevertheless be susceptible to American information-age ballistic missile defense systems. Other skeptics stated that a conventional ASBM was technologically unfeasible; still more said that there was no evidence that China could achieve such a capability. But physics allows for an ASBM, physics is the same for the Chinese as it is for everyone else, and China has many physics-capable technical experts who have been empowered to serve their country. We are witnessing the results today. With all due respect, new thinking is needed in some quarters. The bottom line: the era of “ASBM denial” is over. China’s ASBM is not science fiction. It is not a “smoke and mirrors” bluff. It is not an aspirational capability that the U.S. can ignore until some point in the future. Now that Admiral Willard has judged China’s ASBM to have reached the equivalent of IOC, it’s time to take analysis of the issue to a new level. To that end, fellow China SignPost™ (洞察中国) co-founder Gabe Collins and I published a detailed article on 26 December 2010. And now that the China ASBM “mega-blog” that I developed and updated between 28 March and 25 December 2010 has reached “full operational capability,” it will be available permanently at the link here. It’s still useful as a reference library, I believe, but I don’t want to bog the present analysis down with all those fascinating details. Starting today (30 December 2010), this is now my latest major post on this subject. First, a bit of background on the China SignPost™ (洞察中国) analysis. The core of our article involved taking Admiral Willard’s very significant statement that China’s ASBM has reached the equivalent of IOC and interpreting what that most likely means based on the most authoritative U.S. military definitions of IOC available. All the aforementioned terms have very specific definitions and connotations within the U.S. defense community, making it challenging to draw exact parallels with foreign systems. This is a very problematic issue that can lead to misunderstanding if the nuances are not fully accounted for. Admiral Willard appears to be working hard to put the term “IOC” within a proper U.S. context while emphasizing that it is a U.S.-specific term. So to us, “ITA” implies not yet deployed while “IOC” implies deployed in some fashion—however limited, rudimentary, and in the process of improvement. And Admiral Willard specifically used the term “IOC,” not “ITA.” Given his position of authority, his exceptional information access, his extensive operational experience, and his previous major statements on this issue, we believe that he selects his words extremely carefully, and that there is a sophisticated rationale behind those selections. I think the definitions of ITA/IOC/FOC we used are about as authoritative as one is likely to find and they seem to be pretty widely accepted in the U.S. To be sure, Admiral Willard did not explicitly say what we say in the analytical body of our piece in the same words—that is our own analysis, and we take sole responsibility for it. 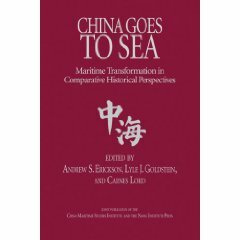 And, as we quoted Admiral Willard (in full, so that readers would be clear as to exactly what he said and didn’t say, and could thereby judge for themselves), he seems to have been trying to point out that China would not necessarily use the same terminology that we use in the U.S., and thus the reporter should ask the PLA. Of course, if and when the PLA offers its own detailed announcements on this subject, we will be the first to listen carefully, but until then this is the best we can do. Again, in the paragraph that I reposted above, we acknowledge that lexical complexity. So our piece is more explicitly worded, it is true, but Admiral Willard definitely said that China’s ASBM has reached the equivalent of IOC, and that certainly implies that his view (which of course we don’t know the details of, or exact basis for) would be consistent with what we said. Bottom line: our article is intended to draw attention to this important issue, a subject that definitely merits particularly close analytical scrutiny, and catalyze further discussion. Subsequent information (see below) suggests that while the DF-21D ASBM has indeed reached the status of “IOC,” an operational unit may not presently be capable of employing the system effectively at this point–contrary to what some standard U.S. definitions had implied. But China is said to have both space-based and non-space-based C2 + ISR “capable of providing the targeting information necessary to employ the DF-21D.” Many open source analyses failed to foresee this momentous achievement, although it had appeared increasingly likely based on China’s recent satellite launch record, development of other surveillance architecture, and serious pursuit of its ASBM program more generally. 1. Does the US Navy agree with ADM Willard’s view that the Chinese have reached Initial Operational Capability (IOC) with the DF 21D? Answer: The U.S. Navy agrees with Admiral Willard’s characterization of the DF-21D as IOC. China has developed a workable design for an antiship ballistic missile. However, several definitions of IOC used by U.S. agencies include the requirement that an operational unit be capable of effectively employing the system in question. The U.S. Navy does not believe this is the case for China and the DF-21D. 2. Do the Chinese have the C2, satellite links, and other systems in place and operational to potentially employ the missile? Answer: China likely has the space based intelligence, surveillance and reconnaissance (ISR), command and control structure, and ground processing capabilities necessary to support DF-21D employment. China operates a wide spectrum of satellites which can provide data useful for targeting within its maritime region. China employs an array of non-space based sensors and surveillance assets capable of providing the targeting information necessary to employ the DF-21D. 3. How effective can it be if it has not been flight tested? Answer: It is unknown to us, and probably the Chinese, as to how effective the missile will be without a full-scale test. 4. Has the satellite and command and control system needed to cue the weapon been IOC’d? If not, any sense of how many more years? Answer: Yes, the satellite C2 systems are likely in place. 5. Does N2 assess that the missile itself, without the satellite cuing system, is a threat to Navy carriers and other vessels? Answer: Yes, China’s non-space based ISR could provide the necessary information to support DF-21D employment. This includes aircraft, UAVs, fishing boats, and over-the-horizon radar for ocean surveillance and targeting. VADM Dorsett’s comments highlight a larger pattern in which new satellites are enhancing Chinese command, control, communications, computers, intelligence, surveillance, and reconnaissance (C4ISR) capabilities. These systems will enable the Chinese military to strengthen cueing, reconnaissance, communications, and data relay for maritime monitoring and targeting. The successful achievement of high quality real time satellite imagery, target-locating data and fusion, as well as reliable indigenous satellite navigation and positioning would facilitate holding enemy vessels at risk via devastating multi-axis strikes involving precision-guided ballistic and cruise missiles. Emerging space-based C4ISR capabilities could thus greatly increase China’s capability to use military means to assert its interests along its contested maritime periphery. …The speed at which they’re making progress in some of these areas, their anti-ship ballistic missile, we underestimated when they would be competent [inaudible] in delivering a technological weapon of that type. We certainly wouldn’t have expected them to be as far along as they are today, if you’d asked me the question five years ago. Q: You mentioned the DF-21. Is that a game-changer? Do you consider that operational…? A: …our assessment, Admiral Willard’s assessment at PACOM is that it has reached an initial operational capability. I think that’s true. The Chinese have tested the DF-21D missile system over land a sufficient number of times that the missile system itself is truly competent and capable. The entire weapon capability, they have ISR, they have sensors on board ship that can feed into the targeting aspect of it. So could they start to employ that and field it operationally? Yes, I think so. It gets back to that question of proficiency. How proficient are they, though, in the end-to-end employment of that capability? Their Second Artillery’s been around for over five decades, so they have a competent missile system, or missile command and control capability. But the question of fusing all the information to use it in targeting, I think there’s still some questions of how proficient they would be to fully employ that at this point. But are they at the initial operational capability? Yes, I think so. Q: One follow-up of that. The [Navy] people told me a year or two ago that the chances of hitting a carrier with a ballistic missile is pretty remote. Has that assessment changed? A: Yes. The technology that the Chinese have developed and are employing in their DF-21D missile system has increased their probability of being able to employ a salvo of missiles to be able to hit a maneuvering target. How proficient they are, what that level of probability is, we don’t know. Frankly, I’m guessing that they don’t know. I’m assessing that they don’t know. The reason I say that is they’ve probably simulated this in laboratories. They’ve certainly test-fired it over land. But to our knowledge they have not test-fired this over water against maneuvering targets. If you’re an engineer and you’ve developed a weapon system, you pretty much want to make sure that you use the entire weapon system and employ it in an operational environment to understand how really competent and effective it is. But to answer your question, yeah, they’re demonstrating the technology to be able to hit maneuvering targets. A few years ago our assessment was no one had a capability. Q: A salvo would be like two, three, four missiles? Q: To go back to China. If you could just talk generally, how much are you concerned, how much has your concern risen in the last say six months about the Chinese military buildup? Rather than getting into specifics, are you more alarmed than you were before? And secondly, is there any sense that we are maybe overestimating the Chinese military buildup the same way that we overestimated the Soviet Union back in the ‘70s and ‘80s? A: First of all, I’m not alarmed. …I see a clear relationship between their economic capabilities and their military buildup, but I also see a direct connection between their military leadership, some of the leaders in the PLA, and how they have provided guidance to be able to advance their military capabilities. They don’t have a great ISR, integrated ISR capability. …They don’t demonstrate a level of sophistication and joint warfighting. As I mentioned, while they’re delivering technology and capabilities, they are at the early stages of operational proficiency across the board. So what would be dangerous for us is to overestimate them today, but underestimate what that timeline of trying to synchronize these various elements together. Ten years ago if you looked at their C4ISR capabilities they didn’t have an over-the-horizon radar. They had virtually no satellites that were, no ISR satellites. They’ve now got a competent capability in ISR and over-the-horizon radars, but the years from now we expect a much greater increase in the numbers of satellites they have in orbit and their capability to fuse information. So we see them progressing rather dramatically across a variety of areas. But no, I don’t view them as ten feet tall. Q: Are you saying that they’ve basically got all the stuff but they can’t use it very well? A: They are maturing in the use of the capabilities. But have you seen them deploy [inaudible]? No. Have we seen large joint sophisticated exercises? No. Do they have any contact proficiency? No. That’s what I’m saying. They are at the front end of developing their military capability. Q: But isn’t it just inevitable with time, once they have the equipment that they will be able to use it in a coordinated way? [Edited to fix what appears to be mistranscription of “DF-21D”]. In coming days, it will be interesting to see what ASBM-related hints and possible strategic communications emerge from China. For larger background and implications, see the 19-minute podcast of my 27 December 2010 interview with Voice of America. Frankly, I find it extremely disappointing that Li has only harsh words for the U.S. yet nothing whatsoever to say about North Korea’s aggressive, irresponsible behavior, constant defiance of the United Nations and accepted international norms, and repeated violations of South Korea’s sovereignty—but that unfortunately is emblematic of larger challenges facing Sino-American relations today, and I hope very much that the official visits of U.S. Secretary of Defense Robert Gates to Beijing and Chinese President Hu Jintao to Washington in January 2011, as well as subsequent interactions, are helping to reverse some of those dangerous trends. During the World War II and since, the aircraft carrier has been acting as the awesome demonstration of American power; and how seriously it measures the challenge posed to its preeminence over the sea can be judged by how many carriers it dispatched. The aircraft carrier battle group plays a central role in American Grand Strategy of securing the US hegemony over the waters far and away from its territory. When in time of foreign crisis since 1945, Presidents of the United States have always said–“Send in the carriers!” More often than not, the US fleet of aircraft carriers has been as much a diplomatic tool as a military weapon. In the aftermath of the flare-up between North and South Korea and in response to North Korea’s threat of a “sacred war” using nuclear weapons, The U.S., again, sent nuclear-powered aircraft carrier USS George Washington and its escorts, the Ronald Reagan and the Carl Vinson, to the waters off the Korean peninsula, supposedly sending a series of messages–reassurance to the South, and deterrence to the North, but undoubtedly raising tensions in the West Pacific region. Evidently, the three carriers assembling off the hotspot of simmering Korean crisis is not intended to shoot trouble, but, to create more troubles, with the obvious villain’s design. The appearance of the menacing battle group of warships in the Pacific is not merely the classic projector of American predominance, or a signal usually delivered by Pentagon to show the escalating tensions and Washington’s seriousness, but to turn out targeting China, with the pretext of North Korea’s nuke threat and readiness for war. It is no longer a secret that Washington eyes Beijing as its strategic rival in the region, and with its “comeback” strategy, the US ambition to regain the privilege in Asia is looming large. To achieve this, it will have to further press the strategic space of a rising China and dilute China’s growing clout over the Asia-Pacific region. No one doubts even the “impoverished” North Korea would and could build its ballistic missiles system designed to leave a gigantic task force dead in the water. Today, the carrier is not only a muscle-flexing demonstration, a signal of US determination to maintain a presence, but also an easy target. It also explains why there were jitters in Washington when a Chinese submarine unexpectedly surfaced close to a US carrier strike group on exercise south of Japan in 2007. It is by no means the last time the George Washington would be deployed, and the American warships will never give up any chance to show teeth. They are a substantive warning to a leader like Kim Jong Il to beware of bomb crater, and a message to the Chinese that Washington means war, and peace, and American hegemony, and “freedom and justice” defined by Americans but applied to all. No other country has a carrier force like the Americans have and no others could match Uncle Sam for the combat ability on the sea. That explains why every American president has the cozy idea that he can easily reach his hand out to any faraway water, by just asking, “where’s our nearest carrier”? Yes, he could wave a hand in the direction of the huge flight deck of the nuke-powered mother ship that can be parked off any shore. And yes, aircraft carriers could burn Pyongyang to the ground, but will Pyongyang get whatever message Washington is sending in that direction, and will the sight of US warships maneuvering at its doorsteps set the “defiant N Korea” shivering with fear? And will it be enough to reassure Seoul ? In a time of growing strategic competition between the United States and the emerging powers like China, the US carrier force in the Pacific ceases to symbolize Washington’s determination to hold sway over the region. Instead, it is now taken as a real threat to the regional peace, and a showcase of the obsolete saber-rattling mentality. The U.S. military has been aware of Chinese ASBM development for years now, and has monitored it closely. The Office of Naval Intelligence (ONI) first discussed Chinese interest in ASBM development publicly in 2004; the Department of Defense in 2005. 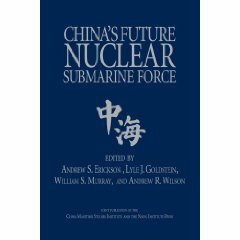 A 2006 unclassified assessment by ONI stated that “China is equipping theater ballistic missiles [TBMs] with maneuvering reentry vehicles (MaRVs) with radar or IR [infrared] seekers to provide the accuracy necessary to attack a ship at sea.” Anyone with government experience knows that such disclosures likely represented the culmination of lengthy bureaucratic processes. This is a broad-based, long-term challenge, and hence the U.S. military has been developing, and will continue to develop, an appropriate set of responses. 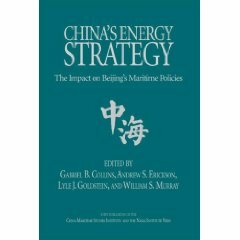 The long-anticipated development of China’s ASBM reaching the equivalent of IOC is merely the sharpening “tip” of a much larger “spear” of Chinese anti-access/area denial (A2/AD) capabilities that China is developing to hold at risk key U.S. military platforms, particularly aircraft carrier strike groups (CSGs). But U.S. ships will not offer a fixed target for such “asymmetric” weapons, including Chinese ASBMs. U.S. military planning documents, including the February 2010 Quadrennial Defense Review (QDR)—the Pentagon’s guiding strategy document—clearly recognize China’s growing A2/AD challenge; the QDR charges the U.S. military with multiple initiatives to address it. For example, the Air Force and Navy are pursuing AirSea Battle, a new operational concept designed to preserve U.S. power-projection capabilities in an era of increasing aerospace-maritime battlespace fusion, jointness, tightening budgets, and Chinese and Iranian A2/AD capabilities. In a world where U.S. naval assets will often be safest underwater and in more dispersed networks, President Obama’s defense budget supports building two submarines a year and investing in a new ballistic-missile submarine, as well as a variety of missile defense systems. The U.S. Navy has moved some of its most capable submarines and ballistic missile defense (BMD)-capable Aegis cruisers and destroyers to the Pacific. In what is likely one of the first of many difficult decisions about how to prioritize significant but not unlimited resources, it has proposed to halt procurement of Zumwalt (DDG-1000)-class destroyers and resume procurement of Arleigh Burke (DDG-51)-class Aegis destroyers. How best to develop and implement ASBM countermeasures is being debated vigorously in U.S. Navy circles. Although China’s projected ASBM, as a new type of weapon, might be considered a “game changer,” that does not mean it cannot be countered. There are several potential approaches for countering the weapon that can be imagined, and these approaches could be used in combination. The Navy in the past has developed counters for new types of weapons, such as ASCMs, and is likely exploring various approaches for countering ASBMs. Countering China’s projected ASBMs could involve employing a combination of active (i.e., “hard-kill”) measures, such as shooting down ASBMs with interceptor missiles, and passive (i.e., “soft-kill”) measures, such as those for masking the exact location of Navy ships or confusing ASBM reentry vehicles. Employing a combination of active and passive measures would attack various points in the ASBM “kill chain”—the sequence of events (including detection, identification, and localization of the target ship, transmission of that data to the ASBM launcher, firing the ASBM, and having the ASBM reentry vehicle find the target ship) that needs to be completed to carry out a successful ASBM attack. Navy surface ships, for example, could operate in ways (such as controlling electromagnetic emissions or using deception emitters) that make it more difficult for China to detect, identify, and track those ships. The Navy could acquire weapons and systems for disabling or jamming China’s long-range maritime surveillance and targeting systems, for attacking ASBM launchers, for destroying ASBMs in various stages of flight, and for decoying and confusing ASBMs as they approach their intended targets. Options for destroying ASBMs in flight include developing and procuring improved versions of the SM-3 BMD interceptor missile (including the planned Block IIA version of the SM-3), accelerating the acquisition of the planned successor to the SM-2 Block IV terminal-phase BMD interceptor, accelerating development and deployment of the electromagnetic rail gun (EMRG), and accelerating the development and deployment of shipboard high-power free electron lasers (FELs) and solid state lasers (SSLs). Options for decoying and confusing ASBMs as they approach their intended targets include equipping ships with systems, such as electronic warfare systems or systems for generating radar-opaque smoke clouds, that could confuse an ASBM’s terminal-guidance radar. Question: China reportedly has deployed a so-called aircraft carrier killer. Does such a weapon upset the balance of power insofar as the Navy is concerned? Roughead: No. You have to look at the total employment of the weapon. You have to look at the nature of being able to first locate, then target, and then engage a moving sea-borne target at range. I’m always struck at how captivated people have gotten about the carrier killer. Nobody’s talking about the precision with which every fixed airfield in the region could be targeted. I really do think that it is not the game-changer people have played it up to be. A new “carrier killer” missile that has become a symbol of China’s rising military might will not force the U.S. Navy to change the way it operates in the Pacific, a senior Navy commander told The Associated Press. Defense analysts say the Dong Feng 21D missile could upend the balance of power in Asia, where U.S. aircraft carrier battle groups have ruled the waves since the end of World War II. However, Vice Adm. Scott van Buskirk, commander of the U.S. 7th Fleet, told the AP in an interview that the Navy does not see the much-feared weapon as creating any insurmountable vulnerability for the U.S. carriers – the Navy’s crown jewels. “It’s not the Achilles heel of our aircraft carriers or our Navy – it is one weapons system, one technology that is out there,” Van Buskirk said in an interview this week on the bridge of the USS George Washington, the only carrier that is home-based in the western Pacific…. Van Buskirk, whose fleet is responsible for most of the Pacific and Indian oceans, with 60-70 ships and 40,000 sailors and Marines under its command, said the capabilities of the Chinese missile are as yet unproven. But he acknowledged it does raise special concerns. “Any new capability is something that we try to monitor,” he said. Still, van Buskirk said the Navy has no intention of altering its mission because of the new threat and will continue to operate in the seas around Japan, Korea, the Philippines and anywhere else it deems necessary. Question: As you say, you don’t jump with the revelation of another capability, particularly as you might have known it was coming. But excitable headline writers like to talk about the ASBM as a game-changer. Is that accurate? Roughead: I think it is a bit of an overstatement. I find it very interesting when you talk about the ballistic missile capability and the fixation on the ASBM, the fact of the matter is that with regard to the other military capabilities that are land-based, you could have the coordinates of every 20 feet of airstrip preprogrammed and you know it is not going to move. I would submit the beauty of naval forces is their flexibility, and the challenges of finding, targeting and then hitting them. It is a new capability and a new application of a ballistic missile, but at the same time, I look at it and say let’s move forward with this. Question: Do you have any idea about timetables for deployment? Admiral Willard has talked about this. Roughead: He talked about the initial operational capability, which is a term we use. It would not surprise me that in the next couple of years that that capability will be in play. Question: But have you been preparing for some time your own structure to incorporate that? No matter what, this is a subject worth watching. Stay tuned! The following links (most recent first) offer further background on Chinese ASBM development. If you know of others, please send them to me, together with any ideas and insights, by accessing the “Contact” tab on the toolbar above. And feel free to post your comments below. Thomas G. Mahnken, “China’s Anti-Access Strategy in Historical and Theoretical Perspective,” Journal of Strategic Studies, 34.3 (June 2011): 299 – 323. Jonathan Marcus, “China Extending Military Reach,” BBC News, 14 June 2011. Barry D. Watts, “The Maturing Revolution in Military Affairs,” Center for Strategic and Budgetary Assessments, 2 June 2011. Bill Gertz, “Jet Delay Adds to China Threat,” Washington Times, 25 May 2011. Letter from the Honorable J. Randy Forbes to the Honorable Robert Gates, 3 May 2011. Michael Fabey, “Chinese Buildup Upsets Strategic Balance,” Aviation Week & Space Technology, 2 May 2011. Ronald O’Rourke, “China Naval Modernization: Implications for U.S. Navy Capabilities—Background and Issues for Congress,” Congressional Research Service, 22 April 2011. Mark Stokes, “Expansion of China’s Ballistic Missile Infrastructure Opposite Taiwan,”AsiaEye Blog, 18 April 2011. Russell Hsiao, “Taiwan’s Intelligence Chief Warns about the PLA’s Growing Strategic Weapon Systems,” Jamestown China Brief, 11.5 (25 March 2011). Wendell Minnick, “China Ramps Up Missile Threat With DF-16,” Defense News, 21 March 2011. Andrew S. Erickson, “Chinese Sources Discuss the ASBM Threat to the U.S. Navy,”presented at China Maritime Studies Institute Lecture of Opportunity, Naval War College, 21 March 2011. Rich Chang, “China Aims New Missile Types at Taiwan, NSB Says,” Taipei Times, 17 March 2011. “台湾称解放军已成功研制「东风十六型」导弹” [Taiwan Says the PLA has Successfully Developed the “Dong Feng-16” Missile], 自由亚洲电台普通话部 [Radio Free Asia Mandarin], 16 March 2011. Ian Easton, “The Year of the Tiger: China’s Spy Satellite Surge in 2010,” AsiaEye, 14 March 2011. Craig Covault, “China’s Military Space Surge,” Aerospace America (March 2011): 32-37. Ian Easton and Mark Stokes, China’s Electronic Intelligence Satellite Developments: Implications for U.S. Air and Naval Operations (Arlington, VA: Project 2049 Institute, 23 February 2011). Vitaliy O. Pradun, “From Bottle Rockets to Lightning Bolts: China’s Missile-centric Strategy and PLA Strategy against Military Intervention,” Naval War College Review, 64.2 (Spring 2011): 7-38. Eric Talmadge, “3-Star: Anti-Carrier Missile Won’t Stop Navy,” Navy Times, 15 February 2011. Adm. James A. Lyons, “Defense Budget Reductions: Because Cuts Are Inevitable, Expensive Boondoggles Should Go First,” Washington Times, 17 February 2011. “US Admiral: Carrier Killer Won’t Stop US Navy,” New York Times, 15 February 2011. 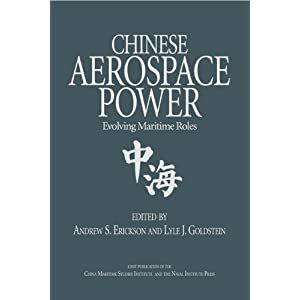 Andrew S. Erickson, “Satellites Support Growing PLA Maritime Monitoring and Targeting Capabilities,” Jamestown China Brief, 11.3 (10 February 2011): 13-19. Andrew S. Erickson, “Beijing’s Maritime-Aerospace Revolution: Trajectory and Implications,” Presented at “The Rise of China’s Military: Consequences for the U.S. and Our Allies” panel discussion, Center for National Policy, Washington, DC, 9 February 2011. Ronald O’Rourke, “China Naval Modernization: Implications for U.S. Navy Capabilities—Background and Issues for Congress,” Congressional Research Service, 3 February 2011. Yoichi Kato, “China’s New Missile Capability Raises Tensions,” Asahi Shimbun, 27 January 2011. Ruth Schneider, “Lockheed Wins $218 Million Contracts For New Anti-Ship Missiles,” Talking Points Memo, 25 January 2011. Spencer Ackerman, “Hey China: U.S. is Prepping New Ship-Killing Missiles, Too,” Danger Room, Wired.com, 21 January 2011. Transcript of interview, as appended to Richard McGregor, “U.S. Fleet Chief Voices Doubts on Chinese Navy,” Financial Times, 18 January 2011. Jeanette Steele, “Will China’s ‘Carrier Killer’ Missile Change U.S. Navy?” San Diego Union-Tribune, 17 January 2011. John Pomfret, “Defense Secretary Gates: U.S. Underestimated Parts of China’s Military Modernization,” Washington Post, 9 January 2011. “Media Availability with Secretary Gates en route to Beijing, China from Andrews Air Force Base,” Office of the Assistant Secretary of Defense (Public Affairs), U.S. Department of Defense, 8 January 2011. Galrahn, “Because You Asked…,” Information Dissemination, 7 January 2011. Karen Parrish, “Navy Intel Chief Discusses China’s Military Advances,” American Forces Press Service, 6 January 2011. Ben Iannotta, “Navy Intel Chief: Chinese Missile is Effective,” Navy Times, 6 January 2011. Tony Capaccio, “China’s Ballistic-Missile, Stealth-Fighter Advances Draw Attention of U.S.,” 6 January 2011. “Can Aegis Stop China’s Carrier Killer Missiles?,” Defense Tech, 5 January 2011. Spencer Ackerman, “Navy Intel Chief Yawns at China’s New Jet, Missile,” Danger Room, Wired.com, 5 January 2011. Julian E. Barnes, “Top Navy Officer: U.S. Misjudges China’s Arms Technology,” Washington Wire, Wall Street Journal Blog, 5 January 2010. Michael Richardson, “China Targeting U.S. Deterrence,” Japan Times, 5 January 2011. Defense Writers Group, “Vice Admiral David J. Dorsett Deputy CNO for Information Dominance, Transcript of Q&A,” 5 January 2011. Chen Chenchen and Liu Linlin, “Chinese Aircraft Carrier Brings U.S. Out in Spots (Op-Ed),” Global Times, 4 January 2011. Mark Stokes and Dan Blumenthal, “Why China’s Missiles Should Be Our Focus,” Washington Post, 2 January 2011. Tony Capaccio, “China’s Anti-Ship Missiles Aren’t Yet Effective, U.S. Naval Analysts Say,” Bloomberg, 3 January 2011. Dean Cheng, “Chinese Military Modernization: The Future Is Arriving Much Sooner Than Expected,” Web Memo #3090, Heritage Foundation, 30 December 2010. Mark Stokes, “Beyond the Anti-Ship Ballistic Missile (ASBM): China’s Next Generation Long Range Precision Strike Systems,”AsiaEye, 30 December 2010. Elizabeth C. Economy and Adam Segal, “The Top 10 Asia Events of 2010,” Asia Unbound Blog, Council on Foreign Relations, 30 December 2010. William Lowther, “Expert Downplays PRC Threat to Taiwan,” Taipei Times, 30 December 2010, p. 1. William Ide, “China Seen Moving Closer to Deployment of ‘Carrier Killer’ Missile,” Voice of America, 29 December 2010. Charlie Reed and Erik Slavin, “Admiral: China Progressing on Anti-Carrier Missile System,” Stars & Stripes, 29 December 2010. Li Hongmei, “Carrier Domineering Mentality Obsolete,” People’s Daily Online, 29 December 2010. Galrahn, “Chinese Fortune Cookies and CS-21,” Information Dissemination, 28 December 2010. Kathrin Hille, “China Missile Shifts Power in Pacific,” Financial Times, 28 December 2010. Bill Gertz, “China Deploying Carrier-Sinking Ballistic Missile,” Washington Times, 27 December 2010. Galrahn, “ADM Willard: DF-21D Reaches ‘Initial Operational Capability’ (IOC),”Information Dissemination, 27 December 2010. Li Hongmei, “No ‘Playing Smart’ in Positioning Sino-US Relations,” People’s Daily Online, 15 December 2010. Abraham M. Denmark, “Asia’s Security and the Contested Global Commons,” in Ashley J. Tellis, Andrew Marble, and Travis Tanner, eds., Asia’s Rising Power and America’s Continued Purpose (Seattle, WA: National Bureau of Asian Research, 2010), 171-203. “China’s ASBM Programme Matter of Concern: Navy Chief,” Outlook India, 2 December 2010. Eric Sofge, “China’s Deadliest Game,” Popular Mechanics (December 2010), pp. 78-85, 129. “China’s Carrier-Killer Missile Changes the Game in Pacific,”Fox News, 7 August 2010. “Chinese Carrier-Killer Missile to Shift Pacific Power Game,” Fox News, 6 August 2010.